Thank you sir, that's really a good news. our madurai airport is gradually adding on more airliners and destinations against heavy odds and several hurdles. . if just the present CG and SG offer their patronage , Madurai can achieve more. Going forward, they should start an international service also. I am not sure about the rotation of 6E 118, but instead of going to madras it should go to one intl destination and return to madras in the morning. So there is a morning service to madras and returning in the evening from there. 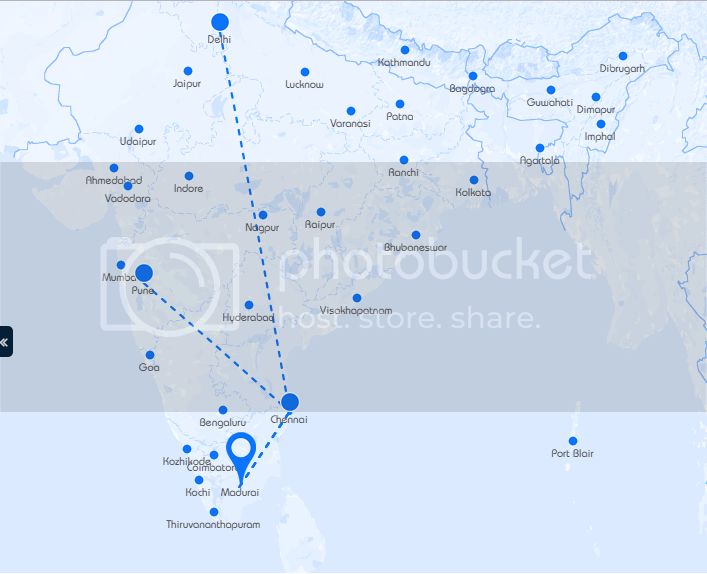 Madurai - Chennai - Madurai Flights | 12 flights one way! Is this too much? Madurai airport latest image by Google Earth - Russian Cargo Flight can see in the picture. 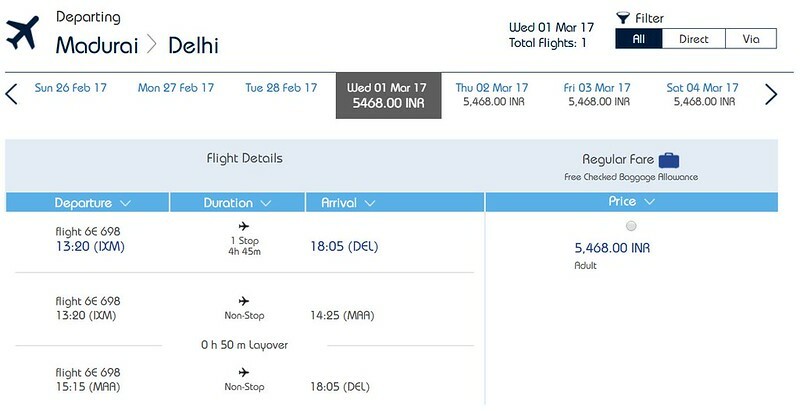 Jet Airways opened booking for DEL - BOM - IXM and v.v w.e.f March 26. Madurai airport will get three more services – two on Madurai-Chennai sector with one transit flight to Delhi and the third providing a direct connectivity between Madurai and Mumbai with onward flight to Delhi. The new services will also see entry of a new airliner, Indigo, to Madurai with two flights with effect from March 1. 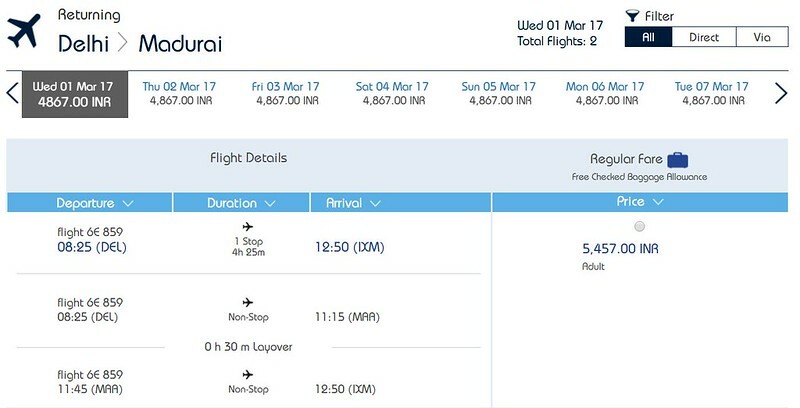 The low-cost airline would operate a flight between Chennai and Madurai and another one between Madurai and Delhi with a touchdown in Chennai. The airline would operate a bigger aircraft, Airbus A320, with a capacity of 180 passengers. “With availability of additional capacity on Chennai-Madurai sector, air fare is likely to fall drastically,” said N. Sriram, a leading travel agent. Though the minimum fare in the sector starts at Rs. 1,200-Rs. 1,500, the average fare is about Rs. 4,000. “Still, the fare touches anywhere between Rs. 15,000 and Rs. 18,000. We hope that this high fare will fall in the coming days,” Mr. Sriram added. A spokesperson from Indigo said the best part of its services would be the nominal charges for extra baggage that would help passengers bound to international destinations. While the minimum baggage was 15 kg per passenger, Indigo offered additional baggage at a cost Rs. 500 for 8 kg, Rs. 750 for 15 kg and Rs. 1,500 for 30 kg. “This will be the cheapest charges for additional baggage,” the spokesperson said. Meanwhile, Jet Airways is coming up a new connectivity – a direct flight to Mumbai for the first time that would further fly to Delhi. The flight service will be available from February 26. Welcoming additional services to Madurai airport, Airport Director V.V. Rao said the bigger flights would make air fares more competitive. “Air fares will not only come down, but also become cheaper than air-conditioned rail journeys,” he said. Additional connectivity to Madurai from Delhi and Mumbai will boost tourism and also attract more pilgrims to down south.